LinkedIn is a website and mobile application used for professional networking. LinkedIn is used by employees for posting jobs and for job seekers to post curriculum vitae (CV). LinkedIn is great to connect with employers, job recruiters and colleagues using LinkedIn. LinkedIn is a profile you create, which contains personal information, previous and present education, and job skills. LinkedIn profile looks like a personal resume used to attract employers and job recruiters. 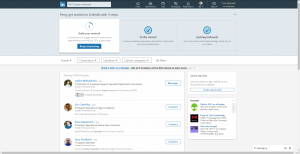 A LinkedIn profile can be created by navigating to the LinkedIn webpage “https://www.LinkedIn.com” in your Internet browser or search in LinkedIn in your search toolbar, here you be able to follow the steps required to create your own profile. You will have to provide a name, email and create a password to create a profile. Once the profile is created you will be able to customize the settings and privacy. These are setting that control who will be able to see your profile and who can connect with you. You can customize these setting to your own preference. You can customize how you will create your profile and the information you provide to attract recruiters. You may want to provide a photo so other will communicate with you, without a picture the other person may not know who you are and may not contact you about any job opportunities. Be sure to keep your profile looking professional and make sure that the picture you choose is professional as well. Many job recruiters and employers will check your profile when they examine your resume for a job opportunity. You will then connect with other employers and follow employers of your choice. They also may connect with you about job opportunities that are open. Many of these jobs will go base on how your profile is set-up. If your profile is set up for IT Computer Support you will be likely see job opportunities that are in that field. The more profile information you provide the better, this allows for jobs that match your interest and profile will reach out to you. You want to keep you profile information up-to-date. You can search for jobs that you are interest in as well and put in a resume, the employers will contact you back about you interest. You can create your own network connection by connecting with companies of you interest and people who you know or want to know. Be sure to provide a detail message on why you want to connect with people you don’t know because they won’t just accept a simple request. You may want to explain why you want to make connection with them and how they can help you with your career. You want to post your professional achievements and accomplishment, these will help show employers what you have achieved and accomplished over the years at your job and education. LinkedIn can be used in your resume as a social networking site. You also want to have recommendation in your LinkedIn profile. Recommendations help you improve your chances of landing the job you want. In Linkedin your connections can help give you recommendations for jobs opportunities. You can fill out your profile by adding information about your education from what college you attended to what year you graduated or if you have a degree. Your job skill or educational skill can also be added to your profile. There are skills you learn from previous jobs or intern or maybe during your educational time. You then can provide a summary of your current job or maybe your past experience at a job. This shows employers and job recruiters what type of skills you have and can match a job to your skills. 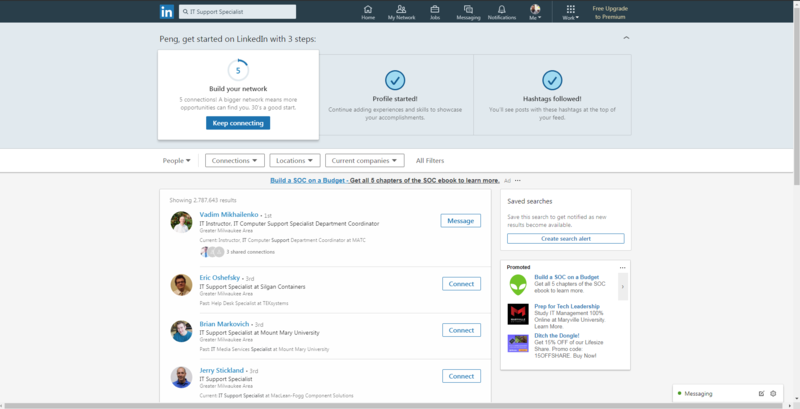 LinkedIn recommends that you have at least thirty connection for starters. You may wonder how you’re going to get those thirty connections but you will find that it will become easier when you network and connect with people of the same interest. Remember that you want to provide a brief summary on why you want to connect with that person. This is so you they have an idea of who you are and why you would like to connect with them. This also helps to eliminate random request. We want to make sure that our LinkedIn profile is as professional as we can make it because there will be many employers and job recruiters looking through your profile. Our LinkedIn profile may also be viewed by other depending on how we set our privacy and security setting. Your Linkedin profile may also be viewed by employers you apply for outside of LinkedIn as well.